Each calendar year, Republic Services' residential customers may request two (2) FREE on-call pick ups, of which one (1) can be used for bulky items. of up to three (3) eligible bulky items. Up to fifteen (15) 35-gallon bags of non-hazardous residential household trash, or ALL yard wastes only. Up to three (3) eligible bulky items which can include up to five (5) E-waste as one (1) bulky item. Each calendar year, you may request one (1) FREE on-call pick up of up to two (2) eligible bulky items. Interested residents are recommended to contact their building owner or manager to schedule a pick-up. Collections may be scheduled for individual units, or combined to serve multiple units on the same day. Property manager or owner must complete a participation form prior to scheduling and call (510) 262-7100 to schedule a collection. Two (2) items per collection per apartment unit per year at no cost. May substitute five E-waste items for one bulky item. Each calendar year, Republic Services' residential customers living in North Richmond may request two (2) FREE on-call pick ups of bagged clean-ups, and one (1) FREE on-call pick up of one (1) eligible bulky item. Two (2) bagged clean-ups per year of up to fifteen (15) 35-gallon bags of non-hazardous residential household trash, or ALL yard wastes only. One (1) eligible bulky item which can include up to five (5) E-waste as one (1) bulky item. 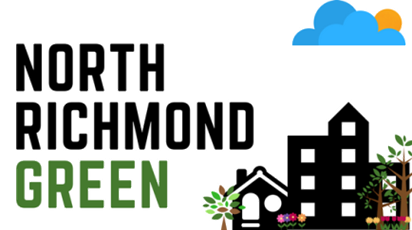 Each calendar year, North Richmond residents may request up to twelve (12) $5 vouchers, for a total value of up to $60 in a year. Vouchers can only be used at the Golden Bear Transfer Station. Available only to residents living in the North Richmond Mitigation Funding Area (Map). Instead of vouchers, Republic Services' residential customers may request an additional FREE bulky item pick up. For details and limitations click the applicable link below. Hazardous waste & electronic waste (like TVs, printers, paint, sharps and oils) contain toxic chemicals that cannot be disposed of in the trash. These materials can be dropped off by North Richmond residents at the West County HHW facility for FREE. For more information on eligible items, call (888) 412-9277 or visit their website. North Richmond Seniors age 60 and older or disabled persons are eligible for FREE pickup of household hazardous waste. Limited to two pick-ups per year & pick-ups must be scheduled in advance. Call to schedule one today. To learn more, view the flier by clicking here. Starting February 1, 2019, Mattresses and box springs can be dropped off by North Richmond residents. Please bring proper identification or utility bill with address of household generating the items. Free drop-off is not available to businesses, but items can be taken to the Golden Bear Transfer Station (1 Parr Blvd. Richmond) for a fee. For more information about mattress and box spring recycling, contact Republic Services recycling center at the phone number below. West County households can pick-up 2 cubic yards of compost for free. Close the loop on your organics recycling by using the finished compost made right here in Richmond. This is self-service only, please bring your own bag, bin or bucket, and shovel to load the material. Valid identification is required. For questions or additional information please call Republic Services at the phone number below. We may assist seniors and disabled North Richmond residents with trash removal and yard maintenance using tools from the Richmond Tool Library or Mobile Tool Lending Library. We may also provide assistance with other labor if supplies are provided by owner (for example, paint for painting a fence). North Richmond Mobile Tool Lending Library: FREE tool rentals on wheels –we’ll come to you! View the tool inventory by clicking here!